The perfect finishing touch for your child's birthday party or dress-up play. 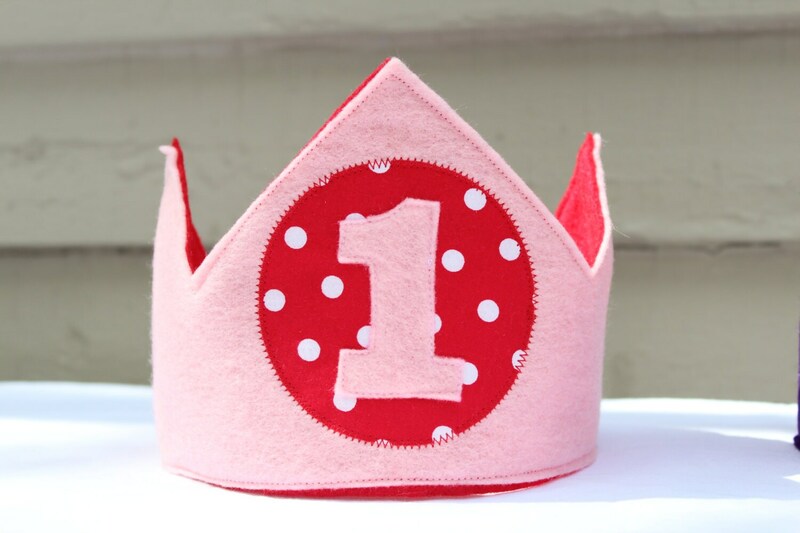 Crowns can be customized with the number or letter of the alphabet of your choice. All crowns are handmade. In the "Note To Seller" section please choose the NUMBER or LETTER you would like (if you choose a letter, please let me know the age of the child for whom you are ordering the crown for sizing purposes). Also specify which COLOR felt you would like for the front of the crown and which color for the back (I will choose a coordinating fabric, if you have specific requests let me know). Allow up to 2 weeks for your item(s) to be stitched and put in the mail. If you need your item(s) by a specific date, please let me know at check out or message me before placing your order to ensure you will get your order on time.